Calendula (Calendula officinalis) is known by a variety of common names such as marigold, pot marigold, goldbloom and golds. It has been used for centuries as a culinary and medicinal plant with a variety of beneficial properties attributed to it. Calendula has been a garden favorite for centuries. It tolerates many growing conditions and has adapted to most parts of the world. Calendula originated in southern Europe, Mediterranean areas and parts of Asia. It is now cultivated all over the world. It is an annual and blooms profusely wherever it is grown. Calendula has been hybridized to highlight specific characteristics, but the wild and open-pollinated versions of this garden favorite are found everywhere. The ancient Romans named this plant Calendula because they noticed that it was blooming on the first day of every month (calends). It was a symbol of joy and happiness in their gardens, and because it provided them with a continuous supply of flowers and tender leaves, it was used regularly for cooking and in medicine. Romans and Greeks used the golden calendula in many rituals and ceremonies, sometimes wearing crowns or garlands made from the flowers. One of calendula’s nicknames is “Mary’s Gold,” referring to the flower's use in early Catholic events in some countries. Calendula flowers are sacred flowers in India and have been used to decorate the statues of Hindu deities since early times. Aztecs and Mayans used the flowers in their ancient ceremonies, and the flowers are still used on home altars on the Day of the Dead in Mexico and Central America. Calendula has been used in cooking for centuries. The flowers were a common ingredient in German soups and stews, which explains the nickname “pot marigold.” The lovely golden petals were also used to add color to butter and cheese. The flowers are traditional ingredients in Mediterranean and Middle Eastern dishes. Calendula tea provides health benefits as well as being delicious. Calendula contains many effective compounds. Ancient cultures recognized and used the healing properties of calendula. In some of the earliest medical writings, calendula was recommended for treating ailments of the digestive tract. It was used to detoxify the liver and gall bladder. The flowers were applied to cuts and wounds to stop bleeding, prevent infection and speed healing. 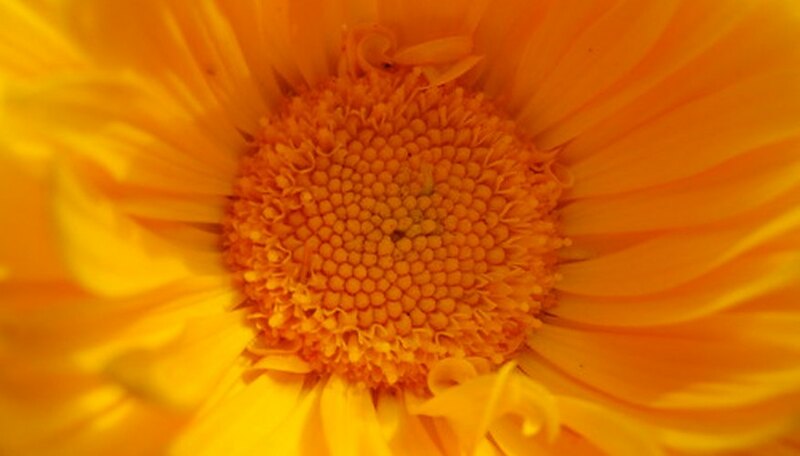 Calendula was also used for various women’s ailments, and to treat a number of skin conditions. During the Civil War, calendula flowers were used on the battlefields in open wounds as antihemorrhagic and antiseptic, and they were used in dressing wounds to promote healing. Calendula also was used in this way during World War I.
Calendula has been historically significant in medicine in many cultures, and it is still important in alternative medicine today.